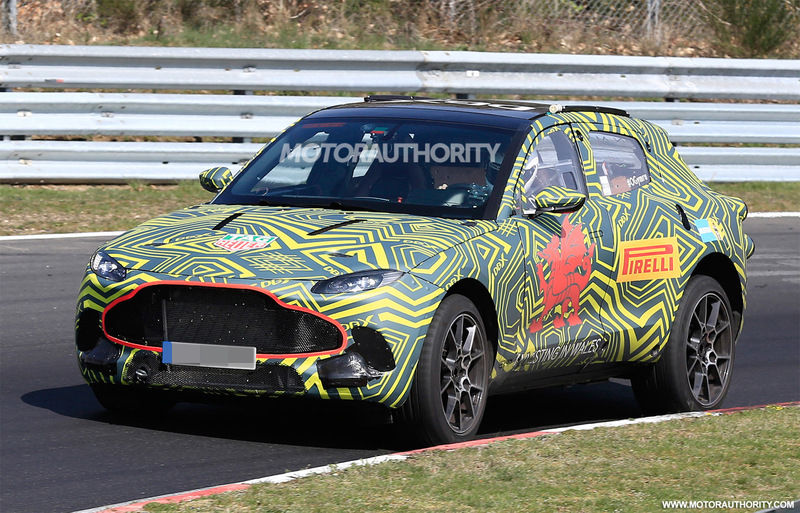 According to these latest discreetly made shots, Aston Martin has begun testing its first crossover/SUV on the Nürburgring Circuit in Germany. The vehicle should hit the market sometime in 2020. According to unconfirmed sources, the new SUV will be called ‘Varekai’. It will be based on the DBX Concept that debuted in the spring of 2015. Unlike the two-door concept car, though, the final production version will have four doors. Industry pros speculate that the car might ship with a 4.0-liter, twin-turbo Mercedes-AMG V8 engine in base, rated at around 600 hp (447 kW). The top trim might get a 5.2-liter V12 unit rated close to 750 hp (560 kW). Aston Martin will launch production in in factory in Saint Athan, Wales, Great Britain. Once the car arrives on the market, it will have to hold its own against the Maserati Levante, Lamborghini Urus, Porsche Cayenne, and Bentley Bentayga.